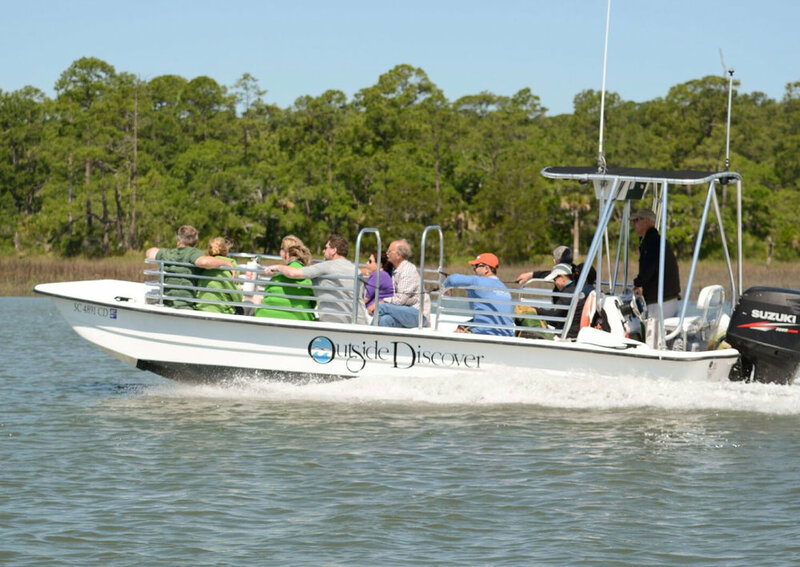 Many of our Shared Boating Excursions can be done on a private basis, such as our Port Tour, Wildlife Refuge excursion, Beachcombing Cruise, and Full Tide Discovery Tour. Choose from our line-up of boats depending on how many people you have and what you would like to do on your charter. Our 6-passenger deck boats are great for cruising, visiting nearby locales and watersports like kneeboarding and tubing. Choose our 12-passenger custom Carolina Skiffs for larger groups, or more to spread out. Choose our 15-passenger C Hawk for even larger groups. Call and speak with one of our reservations specialists, who will assess your needs and wishes, and design the perfect program for you and your group or family. Charters are available 365 days a year (subject to availability).